After more than a month of rotating strikes across the country, postal workers may be forced back to work as early as Tuesday. The House of Commons passed a back-to-work legislation after a late-night debate Friday, prompting the Senate sitting the next day. “We’re extremely disappointed it has come to this. We were hoping the federal government would honour their commitment to free, collective bargaining but it doesn’t seem to be the case,” said Jennifer Savage, president of CUPW Vancouver local. Senators adopted a motion to postpone their deliberations until Monday afternoon. “In the past, there have been some bad deals that the union has seen after legislation. We’re hoping it doesn’t go that way and we’re hoping cooler heads prevail,” Savage said. Critics said the bill infringes on postal workers’ right to strike. The union is now considering legal action and possibly an all-out strike. “Workers are trying to fight for pay equity; they're trying to fight for a safer workplace,” federal NDP leader Jagmeet Singh said. But some believe the action is necessary. Canada Post said it may even take as long as early 2019 to clear the backlog that has built up, especially at major sorting centres in Vancouver, Toronto and Montreal. “We believe that this has gone on long enough. 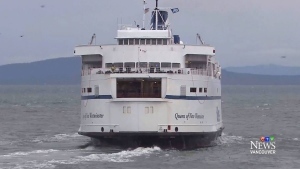 We believe Justin Trudeau and his government have been very lax in taking proper initiative and taking leadership on this,” Sen. Don Plett said. If the bill is approved by the upper chamber, it will go into effect the day after it receives royal assent. 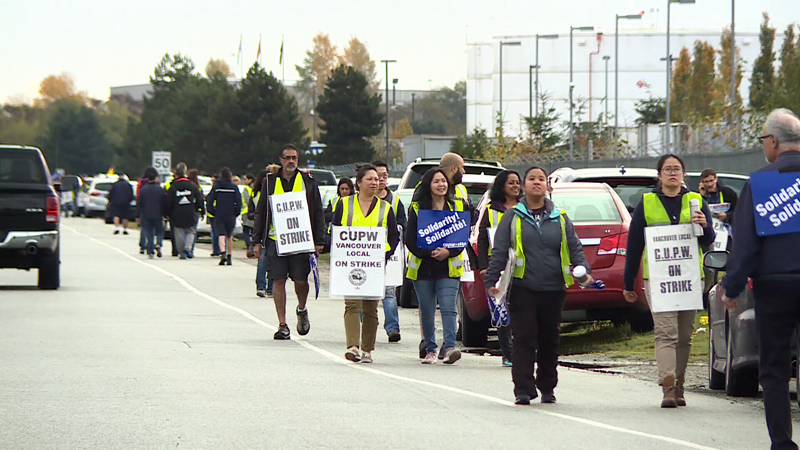 Unionized postal workers strike outside a Canada Post facility in Richmond, B.C. on Friday, Oct. 26, 2018.